These orchid petals in rich purple, delicately edged with white are both elegant and beautiful. This is a corsage that is sure to be worn with pride and will co-ordinate wonderfully with so many different outfits and colour schemes. 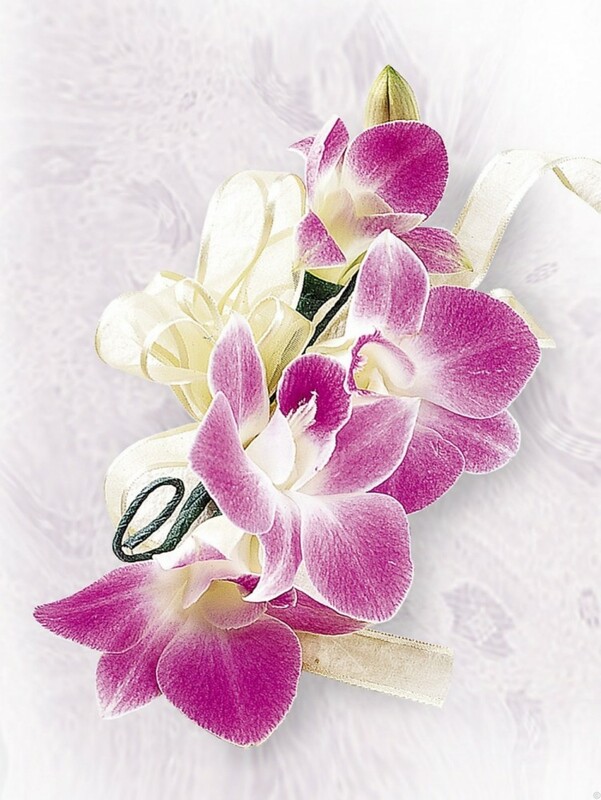 Featuring a purple dendrobium orchid stem finsined with cream satin ribbon. This corsage is approximately 10cm (w) x 18cm (l).